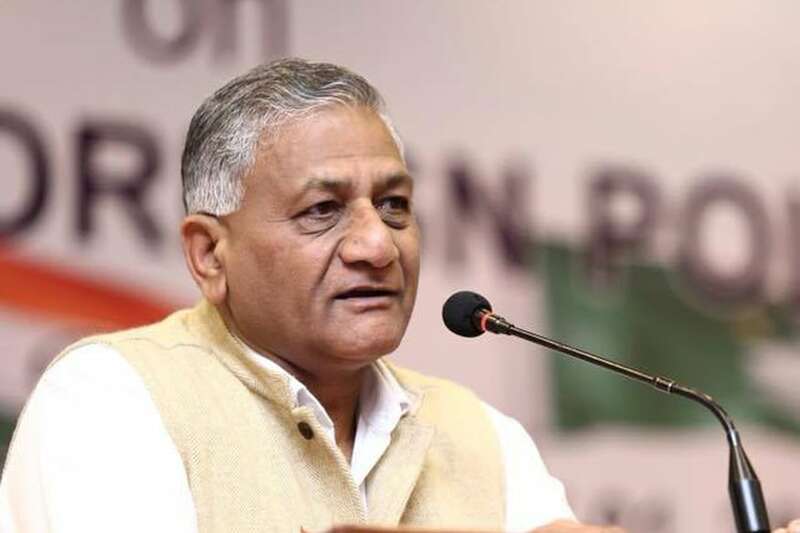 New Delhi: Union minister and former Army chief V K Singh on Thursday said he has written to the prime minister asking for a high-level probe into the alleged planting of false stories about an attempted coup during the UPA-II government in 2012. "Indian Army loves the country and can never go against it," the minister of state for External Affairs told reporters. Singh's reaction came after a recent media report alleged that a few leaders of the UPA-II dispensation tried to establish a false narrative that the Army in 2011-12, then headed by him, was planning a "coup" to usurp the then Manmohan Singh government. Addressing a press conference at his residence here, Singh said he has written to Prime Minister Narendra Modi for an investigation so the names of the alleged UPA-II top brass could come to the forefront. "I have written to Prime Minister Narendra Modi yesterday asking for a thorough investigation at the highest level to expose these people who have committed treason against the country," he said. Singh said he had taken up the issue in 2012 as well when he wrote to the Ministry of Home Affairs (MHA) about "coup" allegations being raised and asserting that those spreading such rumours should be charged with treason. "At that time (in 2012), in clear words I had said that the Indian Army will never do anything unconstitutional. The sentiment was echoed by the then defence minister (A K Antony)," he said. "You cannot accuse the armed forces of a thing like this. I had written to the MHA in 2012 but no action was taken. Now this expose has come out," he said.